AT THIS TIME ALL CARPET CLEANING SERVICES ARE SUSPENDED UNTIL SPRING 2013. SORRY FOR ANY INCONVIENENCE. We use the most thorough and modern equipment in the carpet cleaning industry. We use truck mounted hot water extraction, the method recommended by the nations top carpet manufacturer Shaw Industries. 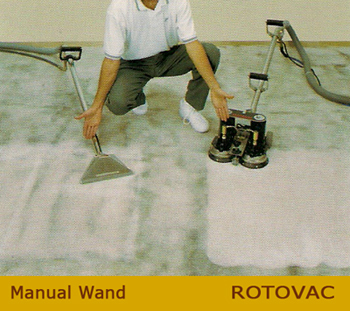 Along with the Rotovac cleaning system which uses rotary jet cleaning that hits all sides of the carpet fiber for maximum dirt and stain removal. 1. Vacuum to remove dry dirt and grit. The IICRC is the leading authority on regulating carpet cleaners and restoration companies.